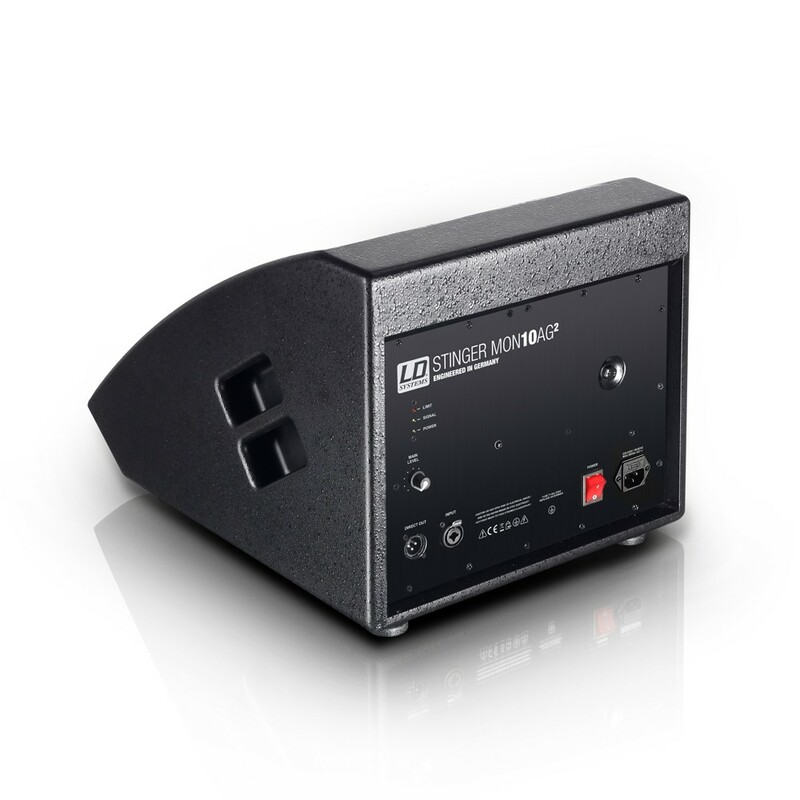 The LD Stinger MON101AG2 is an especially compact active monitor with broad frequency response and a maximum sound-level pressure of 121dB for versatile use on stage. 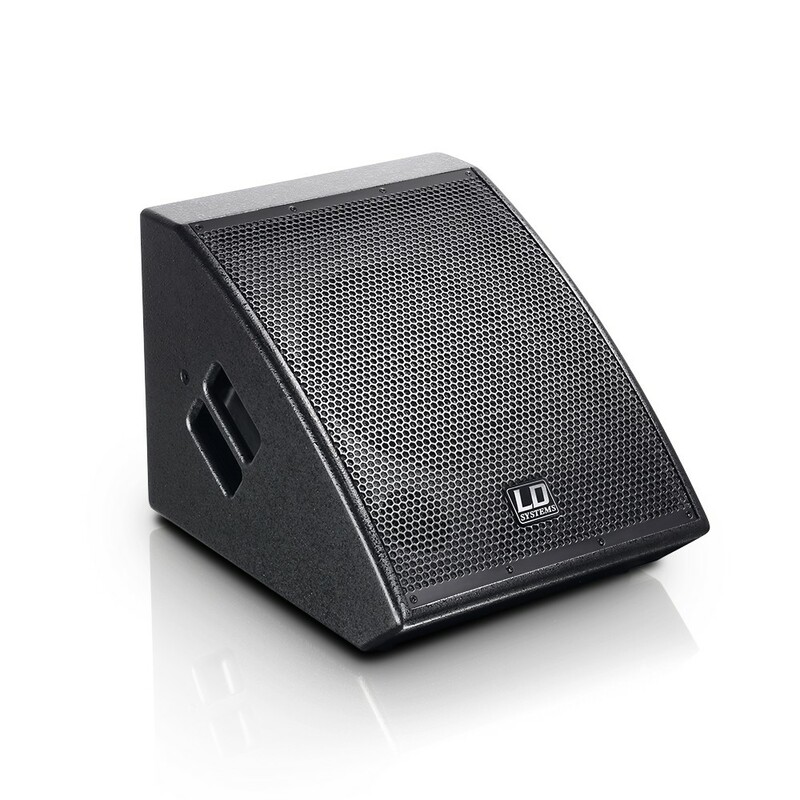 The 10" coaxial speaker with an integral 1" HF driver attains a dispersion angle of 75°x75°, which is beneficial in multifaceted applications as a stage monitor. The coaxial configuration results in a very homogenous sound in the entire dispersion area plus very low susceptibility to feedback. 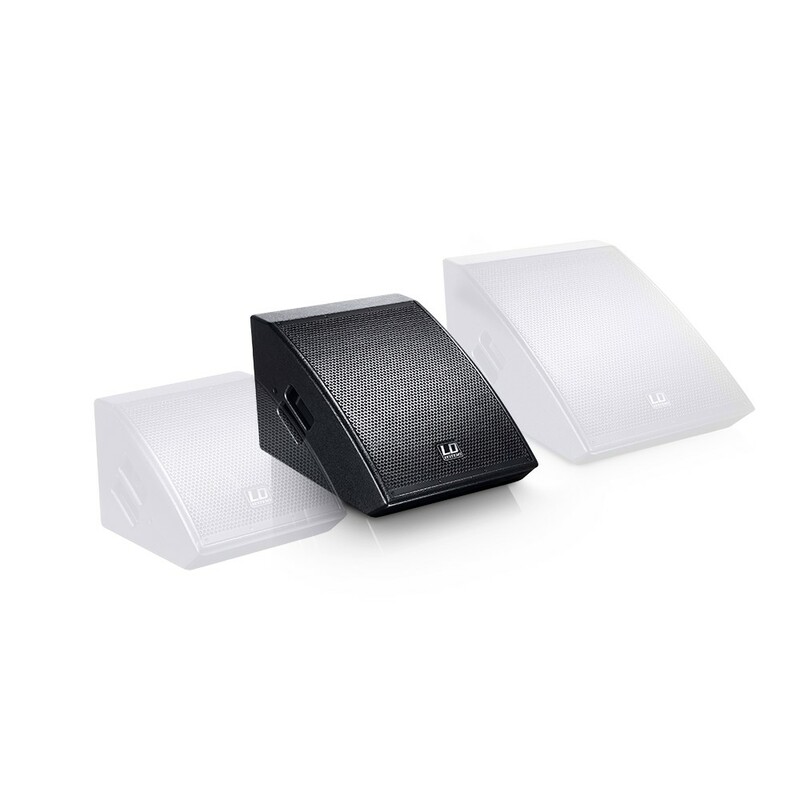 The active monitor is driven by a Class AB power amplifier with an output of 600W Peak. 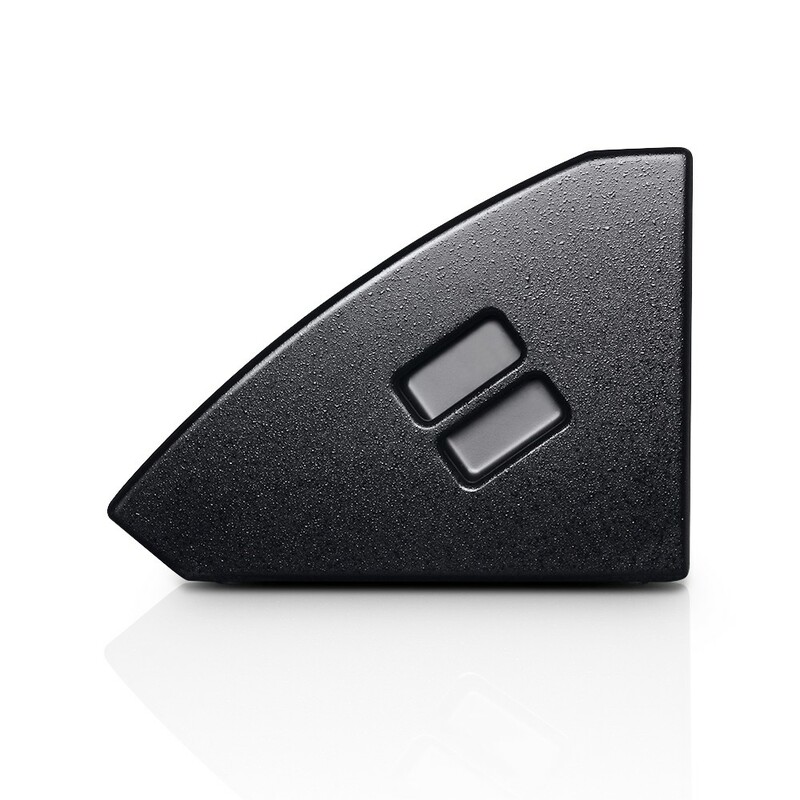 Short-circuit protection and a limiter ensure dependable operation. The rear connector panel offers an XLR-jack combo input and XLR output for looping through the signal; other features include a volume control, IEC power socket and switch, and LED indicators for power, signal, and limiter. The elegant bass-reflex housing made of 15mm multiplex is finished with a durable coating and has ergonomically milled handles and a metal grille to protect the speaker. The monitor angle is 35°.